It's time to dust your collection of glass animals or other delicate items. Put on some very soft fabric gloves to dust with. If your chandelier has become a haven for spider webs and dust, try this great tip for dusting. Soag some fabric gloves in window cleaner. Slip them on and wipe off the lighting fixture. It will leave gleaming results. A feather duster is good for cleaning shelves and such, but not good when you need to get into tiny cracks and crevices of chandeliers, wicker furniture or baskets, and all sorts of knickknacks. That's when a small natural bristal paintbrush can be indespensible. The soft bristles are perfect for cleaning out areas that are otherwise impossible to reach. 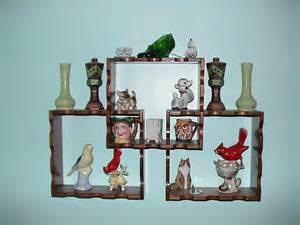 It's also excellent for dusting delicate items such as porcelain or carved- wood figurines.